Goodreads Description: Jaye wakes up from a skiing accident with a fractured skull, a blinding headache, and her grip on reality sliding into delusion. Determined to get back to her starring role in the school production of A Midsummer Night's Dream, Jaye lies to her sister, her mom, her doctors. She's fine, she says. She's fine. If anyone knew the truth - that hallucinations of Shakespeare and his characters have followed her from her hospital bed to the high school halls - it would all be over. She’s almost managing to pull off the act when Romeo shows up in her anatomy class. And it turns out that he's 100% real. Suddenly Jaye has to choose between lying to everyone else and lying to herself. Troubled by the magnetic new kid, a long-lost friend turned recent love interest, and the darkest parts of her family's past, Jaye’s life tangles with Shakespeare's most famous plays until she can't tell where truth ends and pretending begins. Soon, secret meetings and dizzying first kisses give way to more dangerous things. How much is real, how much is in Jaye's head, and how much does it matter as she flies toward a fate over which she seems to have no control? My Review: Dreamers Often Lie is a delightfully tense mystery and a must-read for any fans of the Bard. After a skiing accident leaves her hallucinating Shakespeare characters, Jaye convinces everyone in her life she's fine in order to get back to her rehearsals for A Midsummer Night's Dream. Though the book is pitched as heavy on the Shakespeare hallucinations, the book's real story and strength laid in the mystery behind what happened to Faye’s family long before the book ever started. That’s not to say that the hallucinations and head injury don’t play an important part—they create an atmosphere where Faye doesn’t know if she can trust what she’s seeing to be real. Despite this, the story is actually light on the unreliable narrator aspect, in that the author doesn’t try to deliberately mislead the reader. 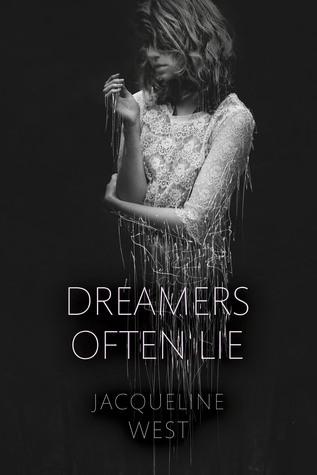 In contrast to books like Liar by Justine Larbalestier, where the reader can’t trust the narrator, in Dreamers, the reader can trust Faye, but Faye doesn’t know if she can trust herself. Fans of the unreliable narrator may be disappointed, but for someone like me who finds unreliability just frustrating, I was very happy with the lighter touch. If you’ve read some of my other reviews, you’ll know I have a deep hatred for love triangles. Dreamers Often Lie is definitely the exception. It has a love triangle, and in some ways it goes the route of standard love triangles, right down to the two guys fighting over Faye. But it avoided the clichés and kept me engaged for several simple reasons: 1) the love triangle did not interfere with the story. In fantasy, the two guys fighting over the girl often takes away from the serious plot issues going on, which frustrates me. But the love triangle was the story here, so it didn’t distract from anything. 2) Each guy is their own person outside of Faye. Their reasons for wanting to be with her are not grandiose or out of character. 3) Both guys are shown to have a good time with Faye without romantic implications. So many books rush the romance that we don’t get to see WHY the characters like each other. 4) There is an evolution of attraction. Faye doesn’t immediately fall head over heels. There’s attraction, interest, and lust, and then once they get a chance to really talk, that attraction blooms into the fluttery in-love feeling. Those simple things made me fall in love with this romance in a way I haven’t in a long time. Aside from the romance, the handling of this book was very precise and deliberate. The prose was beautiful, complementing the Bard’s lines that were spliced throughout the book like sprinkles. They were used with purpose, often mirroring Jaye’s life and experiences with something or someone out of Shakespeare’s texts. It fit without feeling overbearing, doing the words and characters justice in their representation, which was absolutely essential to me, as someone who loves Shakespeare. Dreamers Often Lie wasn’t the dark, twisted thriller like the back cover pitches it to be. It was definitely a psychological thriller, though without any huge twists or turns. However, the lack of heart-pounding tension didn’t disappoint me, because the story behind the hallucination spin was solid on its own. The question of what’s real only added a delightful bit of flavour to an already excellent meal. TL;DR: 4/5 stars. A delightfully Shakespearean-flavoured tale. The power’s in the characters, not in the psych twist.